If you want a basic VCT baseplate then maybe Rush Design have the answer. 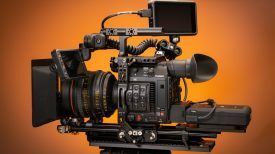 Companies are continually pushing forward their universal baseplate technology to accommodate the growing number of cinema cameras in the market. Standard practice these days are rosette mounts, 15mm rod ports, a quick release/adjustable dovetail plate, VCT compatibility, and a comfy shoulder pad. So what’s the problem? The weight. 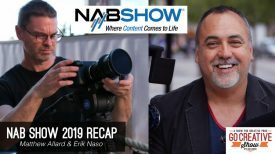 “Everyone else is trying to make a baseplate that would do everything for everybody” said Jon Britton, the lead designer of Rush Design’s VCT Baseplate. “They ended up being clunky and heavier than they need to be”. 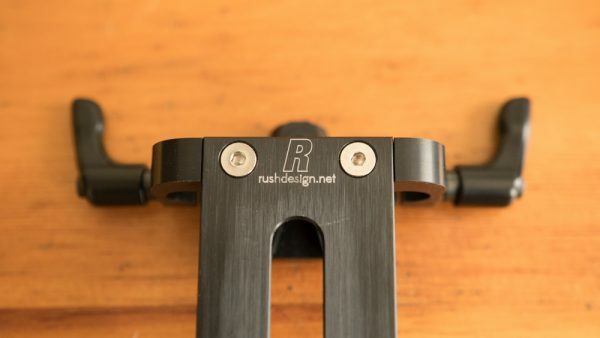 Rush’s anodized aluminum baseplate weighs in at a feathery 302g (0.66 lbs) out of the box with the universal mounting plate, and 427g with all four of the adjustable Kipp levers installed. 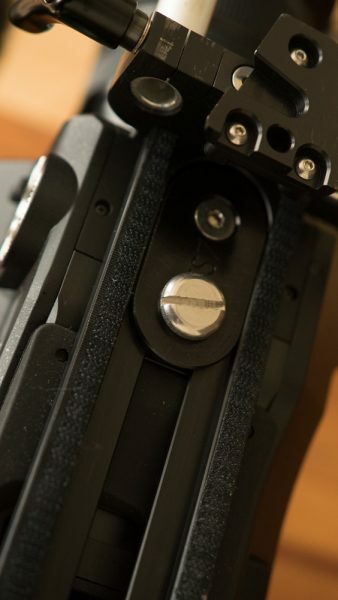 Rush Design, a full service design, engineering, and fabrication shop in based in Brooklyn, New York developed their baseplate in collaboration with the shooters at production powerhouse Zero Point Zero (Parts Unknown, The Mind of a Chef, etc). 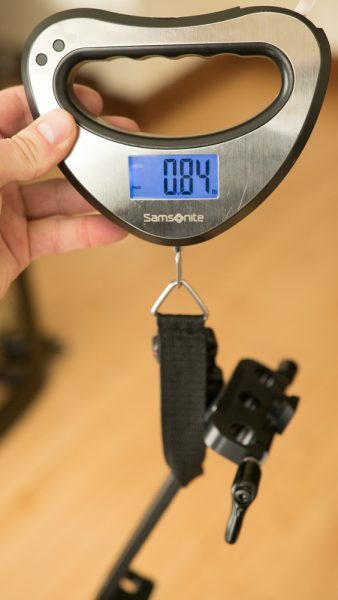 From customer feedback they found that shooters preferred to have a lighter weight, purpose built device to shoot off the shoulder and then drop it on to tripod with a VCT plate. 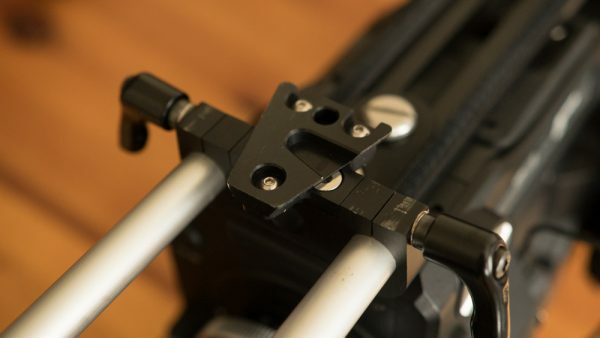 The result of the collaboration between Zero Point Zero and Rush Design is a no frills lightweight VCT baseplate. And by no frills, I mean no shoulder pad. The plate comes with industrial velcro on the bottom for the attachment of a shoulder pad of your choice. When didn’t they include one? 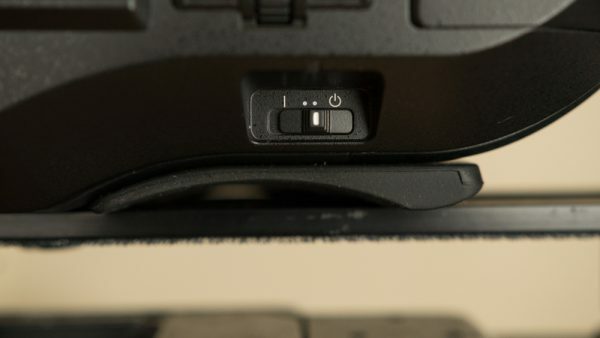 Well according to Rush Design, they used to include one, but customers seemed to want to make their own solution for how they specifically were working. Using the Rush VCT plate has been a bit of minimalist bliss. 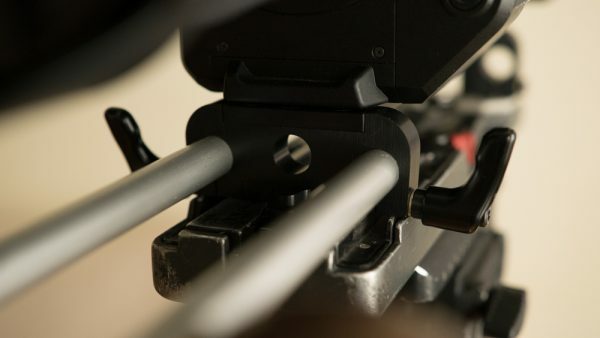 I dropped the smartgrip on my Sony FS7 in favor of rods and a rosette bracket flanked by wood from Kinogrip two years ago to cut weight. 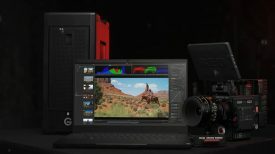 I like to keep a compact rig for news and doc shooting. 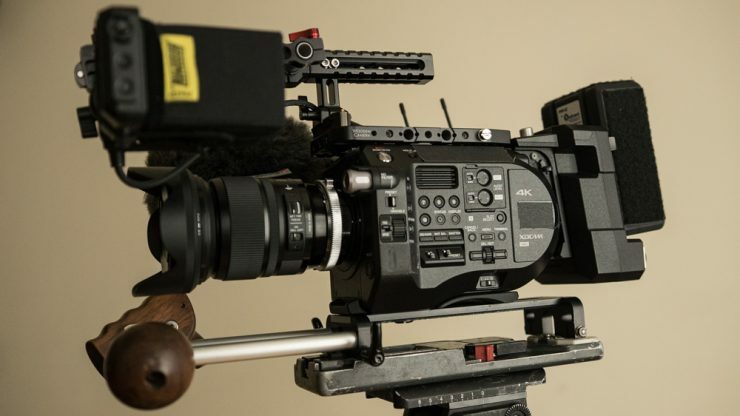 The Rush VCT Baseplate is a continued application with a minimalist philosophy. 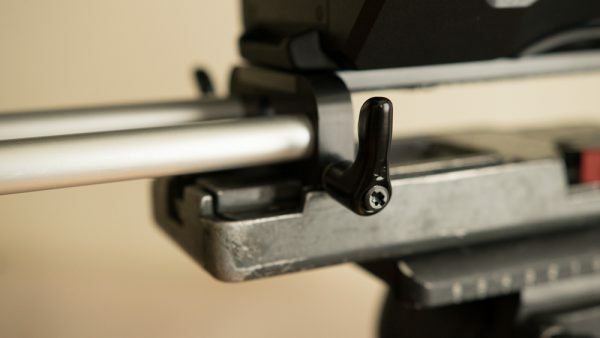 The baseplate gives me the only things I need at this point: rod ports, VCT compatibility and a camera agnostic shooting platform that can adjust for the various balance points of a constantly shifting set ups.